Turkmenistan is a unique place, with traditions and cultural manifestations that go beyond imagination. One of the elements that make it so fascinating is that it is a mysterious country that most of the Western civilization hasn’t even heard of, so it has that “exotic” label, but not in the same way as a Caribbean island, for example. The nation has breathtaking landscapes and a very particular architecture. The country endured a hard dictatorship personified by Saparmyrat Niyazov, which ended in 2006 at the time of his death, but while elections were held shortly after, the winner, Gurbanguly Berdimuhamedow, has since acted as president, and many of the things that made Niyazov’s regime so feared are still intact. Like Niyazov, Berdimuhamedow’s government has mostly kept media at bay. Every newspaper has to show a picture of the president on the front page, Internet is slow and expensive (roughly 5% of the population has access to the web,) and if you manage to enter it, you will discover that most international sites, including social media networks, are blocked by the government. Freedom of speech and freedom of the press are limited in reality. Governmental censorship is also added to the equation to make Turkmenistan one of the worst places to use the web. You can’t enter sites such as Facebook or Twitter, for example. Internet cafes run by the government are available for people to use, but you need to leave your passport while you enjoy it. Some hotels that host foreigners also have the service, but at incredibly expensive rates. An additional letdown is that there is only one Internet service provider and it Is controlled by the government, so even if you find a good connection, all your traffic, emails, and browsing history will be monitored. That is why tourists and people with desires and needs to go online have used a VPN to access the Internet in Turkmenistan. VPN stands for Virtual Private Network, an online tool that allows the customer to earn another identity while connected to the web, thus bypassing governmental blockings and censorships. However, there is another issue: the Turkmenistan government identified that people were spoofing their location to circumvent their measures, so they decided to ban the VPN use in the country since 2015. If the ISP detects a VPN, it will block it and whoever is using it would face harsh penalties, including “preventive conversations” to the Ministry of National Security, where they face intimidation. There are still VPNs that work in Turkmenistan. However, it is a fluid situation: the government may block new brands with each passing day while other companies that were restricted may find ways to get back on track. Windscribe is a Canadian based VPN company and provides value for your money. It has both a free and paid VPN plan available. This VPN is a good alternative for American based VPNs or for someone who wanna use their free plan that comes with 10 GB limited bandwidth. 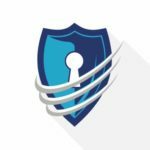 Windscribe speed isn’t as fast as other paid VPNs, but they offer OpenVPN tunneling protocol decent encryption. Although it is a new VPN, they have a Chrome extension, which allows free proxy access to consumers, has now been used by over 630K people around the globe. Paid service is not too expensive. Premium version is bit slow. SurfEasy is another freemium service with a free version that caps monthly usage at 500 MB but allows five simultaneous devices to connect under the same account and has access to servers in 16 nations. The other two paid modes are affordable, at $3.99 and $6.49, and both include tracker blocking and unlimited data. The latter also comes with 12 additional countries and torrenting protection. Servers in 16 countries for free! 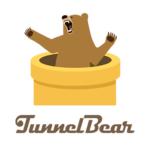 If you are looking for an easy-to-use VPN app to open pages while you go to Turkmenistan, including Facebook, then Tunnelbear is one of the best free options. The interface is extremely user-friendly and attractive. It has a free service, but it caps user data at 500 MB per day (with the ability to go up to 1 GB.) The paid version is exciting too and has more features, such as browser extensions and a stand-alone ad blocker. Speeds are mediocre, and the server network is a bit lacking, as well, but overall, Tunnelbear passes the eye test. Of all the VPNs listed here, the one that has the best record at working in Turkmenistan is ExpressVPN. It may not be the cheapest at $12.95 per month, but it has servers in 94 countries, excellent encryption, and speeds, a clear no logging policy, and the ability to open Facebook, Twitter, and other blocked pages in the nation. ExpressVPN is the best all-around VPN brand in the market, with DNS leak protection, a kill switch, split tunneling, 148 total locations, a fantastic customer service, and a good track record of working in remote places such as Turkmenistan. 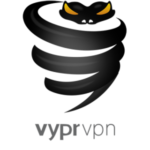 VyprVPN is a Swiss-based VPN company with a decent track record and a long history. It gives you great speed and top-notch security because VyprVPN owns every single server in their wide network. On the other hand, VyprVPN saves basic connections logs, which are temporary and deleted after 30 days. It may not appeal to the security conscious, with its absence of Bitcoin support ad session logging. But there are many plus points too, including custom DNS, unblocking Netflix, live chat support, and user friendly apps. Overall, VyprVPN is easy to use and a secure VPN with powerful performance and it remains one of the best paid VPNs to access Facebook in Turkmenistan. Allow 3 days free trial. Apps are easy to use. 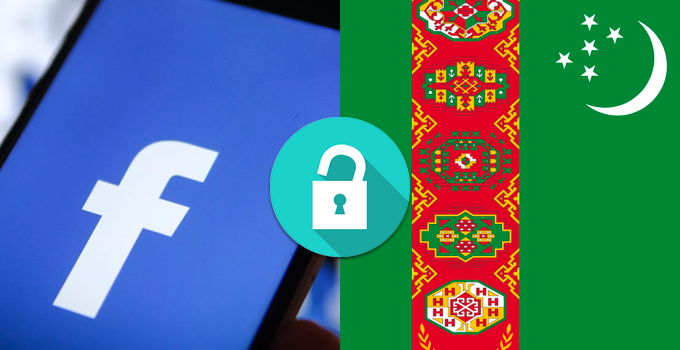 In conclusion, you need one of the best free VPN for Turkmenistan to open Facebook, Twitter, and dozens of pages that the government blocked to control what its citizens do or visit in the few opportunities they have to go online. It is a place with heavy censorship that has also identified and restricted VPN access, so the situation is fluid. If you find a VPN that works there, take advantage while you can.